Last Thursday I braved the rain to join other Leeds based bloggers at Call Lane Social’s Tiki Hideaway to learn how to make a tiki cocktail and spend a little time pretending we were in the sunshine of the South Pacific! 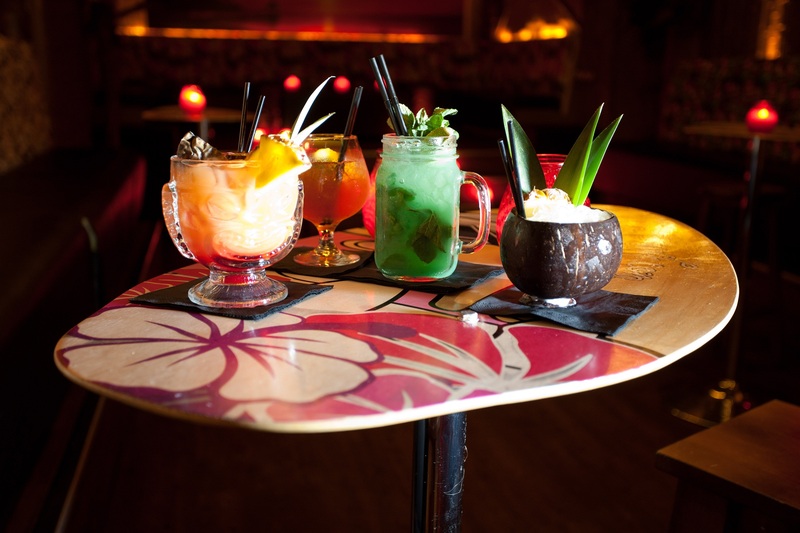 Call Lane Social opened in 2010 and was awarded ‘Best Newcomer’ in the 2011 Bar and Club awards, but I think that what makes it really special is tucked away upstairs; a little slice of Polynesian heaven in the form of Leeds’ first and only Tiki bar. 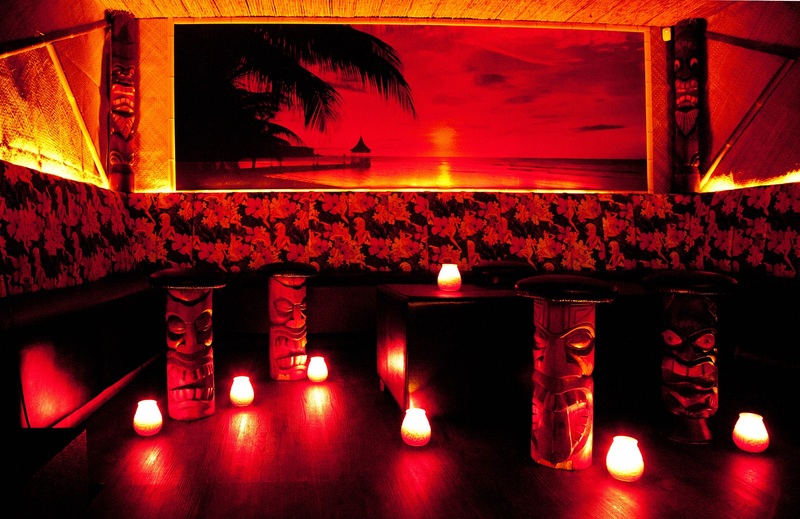 Tiki bars became popular in America after soldiers who served in the South Pacific during World War Two began creating their own Polynesian themed bars once they returned home. 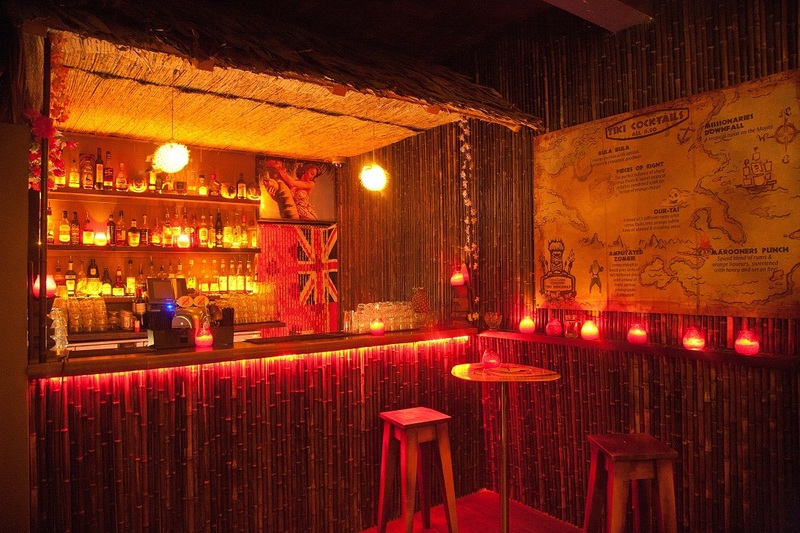 These usually have vibrant fabrics and thatched walls and serve elaborate rum-based cocktails like the one we made, which had the glorious name of Amputated Zombie. Here is our friendly and knowledgable mixologist Andy Gilpin, who shared with us a little of his knowledge about the differing rums and their varying tastes. I was really interested in learning about how the balance of flavours, rather than the alcoholic content, is what makes a great cocktail. The Amputated Zombie we made proves this – although it contains no less than three different types of rum and is undoubtedly potent, it has a gorgeous taste and is much easier to drink than its name suggests. It sounds like you had such a Greg time. I love cocktails and this kind of event sounds right up my street! Looks like a great evening. I never knew there were different types of rum! Maybe my (very) little hometown could do with a Tiki bar! 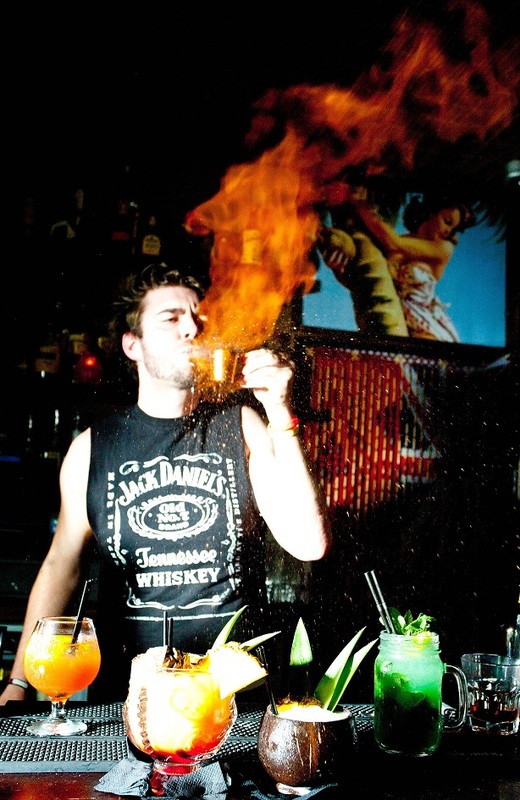 Did you get any insight into what makes the different rums different? I thought rum mostly came from sugar cane, but I don’t know if that’s true for all rum.